Chief executive to transition to special adviser role. Jerry Buhlmann is to step down as chief executive of Denstu Aegis Network after nine years in the top job and three decades with the group. The surprise move was announced by parent company Dentsu at its third-quarter results. Buhlmann, who co-founded BBJ Media in London in 1989 and subsequently sold it to Aegis, becomes the second global advertising chief after Sir Martin Sorrell to quit this year. He became chief executive of Aegis Group in 2010 and of the wider Dentsu Aegis Network in 2012, following the acquisition of Aegis by Japanese advertising giant Dentsu. Tim Andree, executive chairman of Dentsu Aegis Network, will take on Buhlmann’s duties by adding the title of chief executive. Buhlmann, who turns 59 this month, steps down on 31 December and will become a special adviser to Dentsu. The defining moment in his career came in 2012, when he masterminded the sale of Aegis Group, listed on the FTSE 250 index in London, to Dentsu for £3.2bn – a 48% premium for shareholders. Buhlmann has also broadened Dentsu Aegis Network, the world’s third-biggest media buyer, into new areas such as data, analytics and content through a series of acquisitions. The group has doubled in size in the past five years. Buhlmann said: "After nine years as CEO of Dentsu Aegis Network and before that Aegis Group plc, I am very proud of what the organisation has achieved in that time. The highlight for me has been working with a group of very talented people and the impact we have been able to make based on strong team work, a supportive parent company and a dynamic culture. "Importantly at this time, the quality of the executive management team is exceptional, the business has strong momentum and I’m confident will continue to thrive and grow strongly at a time of disruptive change in the market. "Dentsu Aegis Network is a critical part of the Dentsu group’s growth story and with Yamamoto-san leading the group and Tim Andree leading Dentsu Aegis Network, I have no doubt that the future will be very bright as the business moves to the next phase of its development." Buhlmann, a fitness fan and triathlete who has competed for Great Britain at a senior level, admitted in an interview with Campaign in 2016 that being a global chief executive was a demanding role but said he relished it. "If you’re in this business, it’s because you can do relentless, because you always want to improve, because you want to do fantastic work for your clients," he said at the time. He dismissed suggestions then that he might want to retire soon. "I’ll keep working as long as I enjoy it and I feel rewarded. I’m very happy. I’ve got plenty of energy," he said in 2016. "It’s all about energy." Toshihiro Yamamoto, representative director, president and chief executive of Dentsu, said: "From the start, Jerry has had a bold vision for Dentsu Aegis Network. His drive and leadership has ensured that Dentsu’s acquisition of Aegis Group plc has been an outstanding success. "Dentsu Aegis Network is today a highly integrated and highly competitive global marketing service group built for the digital economy. "Since 2013, Dentsu Aegis Network has doubled its revenues from £1.8bn to £3.6bn and grown organically at twice the rate of its competitors. The Dentsu board thanks Jerry for this great contribution and leadership. "I am delighted to appoint Tim as Jerry’s successor. 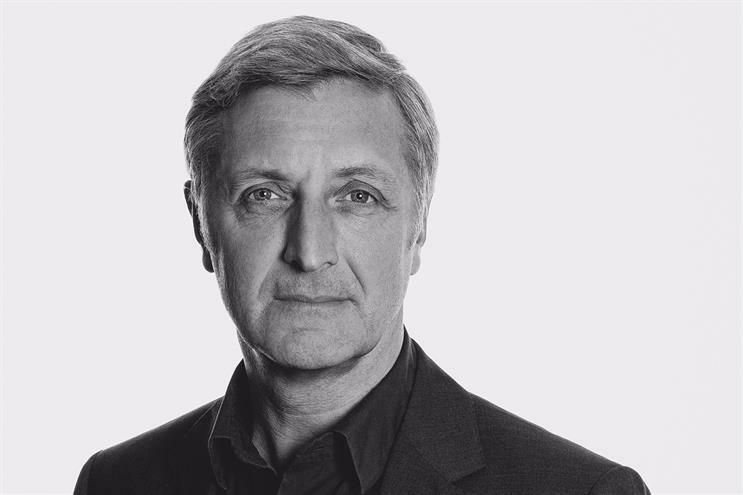 Ever since joining Dentsu in 2006, Tim has led the globalisation of the Dentsu group. As a member of the Dentsu board and also the executive chairman of Dentsu Aegis Network, Tim has a deep understanding of the business’s market proposition, culture and values." Andree, who also holds the role of director and executive vice-president of Dentsu, said: "The remarkable growth and momentum of Dentsu Aegis Network is a credit to Jerry and the deep and broadly talented management team that has been cultivated. "I have worked hand in hand with Jerry and the management team over the years and, for this reason, the Dentsu Aegis Network management will move to the next stage with strong continuity and stability. We will continue to evolve as the most collaborative of networks known for its creativity, client focus and innovation."